Our comprehensive project team will visit and assess your requirements before providing you with a full design and quotation. Our aim is to customise designs and solutions to suit respective capital and operational cost constraints. We also complete larger, tendered projects in design and build and other construction or fit-out contract forms for construction-based contractors. The installation of HVAC-R systems requires extensive experience in design, plant selection and on-site project build processes. AACS Limited has been installing HVAC-R systems for 30 years and has gained a thorough understanding of how to successfully complete a job. HVAC-R systems are at the heart of AACS’s expertise. This expertise helps us design and deliver solutions that create the right ambient environment in buildings, using equipment that is configured with energy efficiency, build-ability and maintenance in mind. 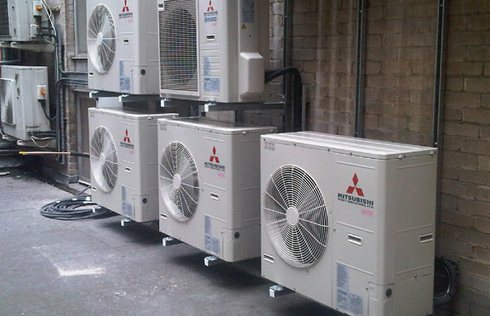 We supply, install and maintain a wide range of HVAC-R equipment - from one off, in-room heat pump solutions through to large scale, building-wide solutions for example with central plant rooms, chillers and air handling units. Our unique combination of services that embrace HVAC-R, electrical engineering and BMS controls help support our wide ranging HVAC-R installation projects.